Losing someone in an accident can be a tragic experience for any family. The emotional pain of losing one’s parent, spouse, sibling, or other family member can be too much to bear after an accident. Wrongful death claims are typically much more complex than other personal injury cases, which is why your family needs a legal team with the knowledge and resources necessary to help you build the strongest case possible and seek maximum compensation. Call Zinda Law Group today at (800) 863-5312 for a free case evaluation with an experienced wrongful death attorney in Colorado. If your family has lost a loved one due to negligence, you may be eligible to file a wrongful death claim on behalf of your loved one. Instead of navigating the court systems alone, a Colorado wrongful death lawyer from Zinda Law Group can serve as your ally and be with you every step of the way. Family members can be left with extremely high expenses after a loved one passes away. You could be stuck having to pay costly funeral expenses. It is not uncommon for these funeral costs to amount to thousands of dollars. A wrongful death lawyer can seek to hold the party responsible for your loved one’s death accountable for funeral expenses. Other forms of compensation that you may seek in a wrongful death action include lost wages, loss of financial support, medical treatments, loss of companionship, and more. While no amount of money can truly compensate you for the loss you experienced, it can still be comforting to receive compensation to pay for the expenses and debts that you are left with after your loved one’s death. There are several individuals who have the legal right to file a lawsuit involving a wrongful death claim. Parents, children, or a spouse of the deceased can file a wrongful death claim. Under certain circumstances, a domestic life partner may also be eligible to file a wrongful death action on behalf of a loved one. When you go to court, it will be your lawyer’s responsibility to show that your loved one died as the result of someone else’s negligence. Perhaps a loved one was involved in a car accident caused by another driver. Maybe your loved one was a victim of medical malpractice or died from an on-the-job injury. No matter the circumstances surrounding your loved one’s death, it is our lawyer’s duty to figure out who the responsible person is and hold them accountable for their actions. At Zinda Law Group, our wrongful death lawyers take cases from the entire state of Colorado and can help you during this stressful time. As one of our clients, you will pay us nothing unless we win your case. 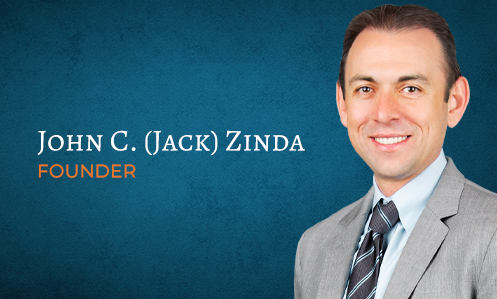 Call Zinda Law Group today at (800) 863-5312 to receive your free consultation with one of our experienced wrongful death lawyers in Colorado.